It&apos;s an exciting time of year, and every sports fan who bleeds green or wears blue is wringing his or her hands in fevered anticipation. It&apos;s rivalry week and that means it&apos;s MSU versus Michigan on the grid iron. A lot of people are passionate about this rivalry, myself included. So to capture that passion I took pen to paper and crafted this bit of verse which embodies my feelings about this annual turf war - This yearly battle for state supremacy. It&apos;s nothing short of my absolute favorite sports contest the whole year long. Who will take home the coveted Paul Bunyan Trophy? Give this a read and think back to your favorite memories of this classic in-state match-up. Are we on the same side in this, or bitter rivals? It&apos;s a rivalry that can pit brother versus brother, after all. We&apos;ll have to see who will be smiling when the game is decided on Saturday night in Ann Arbor...What&apos;s left to say at this point? LET&apos;S GO GREEN! LET&apos;S GO WHITE! 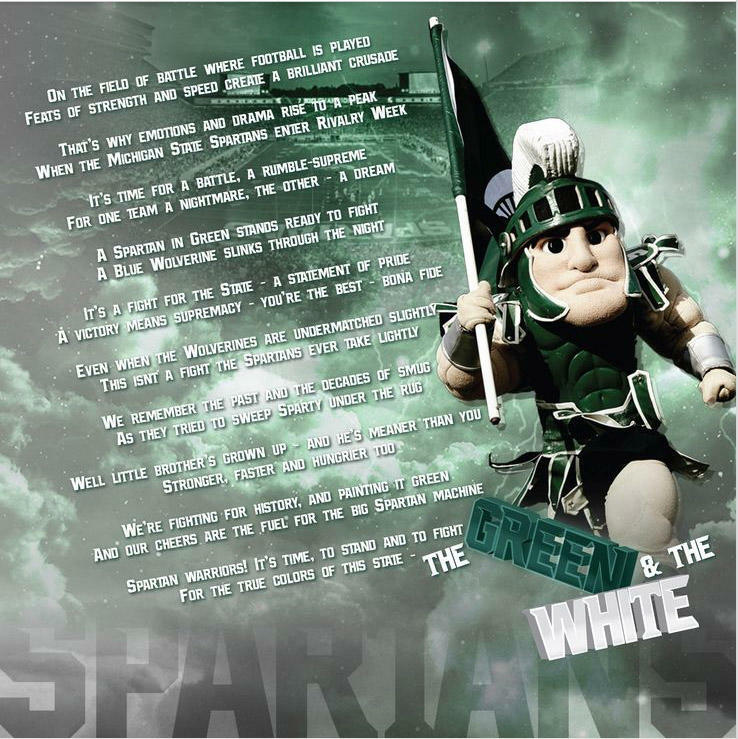 For the true colors of this State - the Green and the White!